Grain & Seed Bunkering is becoming increasingly popular as a economic storage option for bulk handling operations. Engineering Solutions Steel Grain Bunker Systems provide a sturdy, cost effective method for grain and seed storage on a large scale and are standardised to avoid installation problems. Our Grain Bunker Systems can be supplied to suit any size operation. 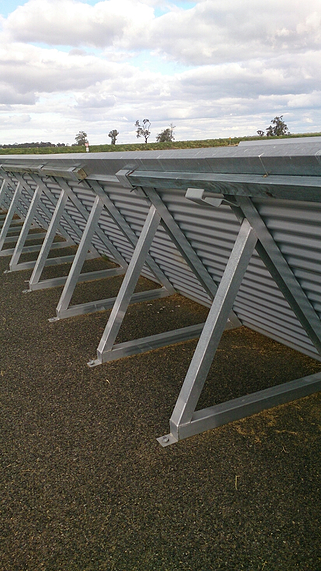 A full range of sizes of Grain Bunkers available to cope with the demands of crop storage after harvesting. 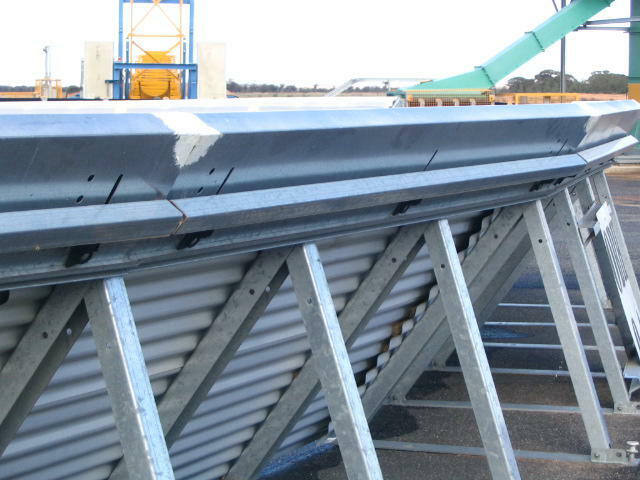 We manufacture the grain bunker support systems, galvanised steel sides, floor sheeting and premium PVC covers, for installation by you or we can provide a turn key solution including installation using our in-house trained installation operatives. Totally transportable and no cranes required. Proven barrier to weather and pest threats. Can be purchased in kit form. Controls insects / Gas tight. Tarps and ground sheets also available. Please contact us for prices on grain bunkers / dams or fill in our online form.